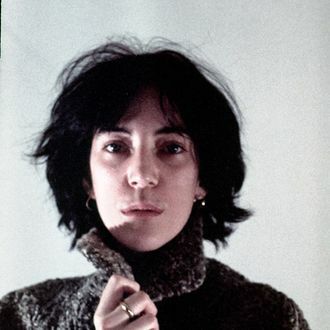 Why Is Patti Smith Playing at the Chelsea Hotel? Musician (and lately, writer) Patti Smith is exactly the kind of iconic former Chelsea Hotel resident who helped the place acquire its patina of shabby cool — a patina that longtime residents say is being ruined by the place’s new management. The hotel was sold this year to developer Joseph Chetrit, who, despite pledging not to kick out the remaining unmonied bohemian types still calling the place home, has done his best to get them out of there. Grime is patina’s less fancy cousin, and it’s clear that Chetrit is interested in one and not the other, but whatever you call it, the vibe is also why he wanted to buy the place. And to signal that it’s still the same Chelsea Hotel, he’s enlisted Patti Smith to play a concert for residents: your apartment building has movie night in the lounge, we have rock-legend night. It’s also clearly meant to mollify those angry long-term residents. Surely, she is aware, but they’re clearly betting that a good, old-fashioned guilt trip will do the trick.